A noted Northwest Jazz institution, Greta Matassa further solidifies the deserved praise with her fourth recording on Origin. Again reinventing jazz classics such as “Too Close For Comfort” and “Indian Summer,” Greta also takes on lesser known treats such as Jule Styne’s “Dance Only With Me,” Johnny Mandel’s “The Solitary Moon,” and the title track by Ivan Lins. A standout is the hauntingly beautiful Pat Metheny tune, “If I Could, You Know I Would,” with lyrics by former Santana drummer Michael Shrieve. 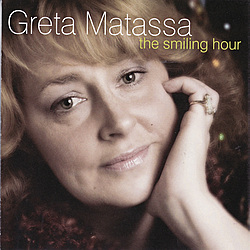 Accompanying Greta is her band of many years – Darin Clendenin on piano, bassist Clipper Anderson, and drummer Mark Ivester.